BUT trust me….they are SO FREAKING GOOD! I was popping them in my mouth like French fries, hot out of the oven this afternoon. Whether you’re looking for a weeknight side dish, a Thanksgiving idea, or even weekly Food Prep – give these lil’ greenies a fair shot! Whisk oil, honey, and dijon in a small bowl until very thoroughly combined. 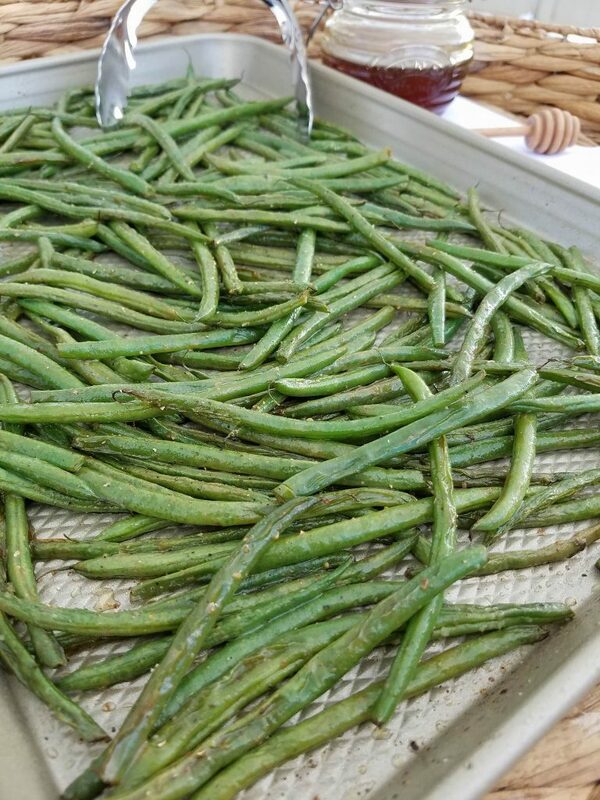 In large glass bowl coat green beans with dijon mixture. Toss to coat beans VERY well. 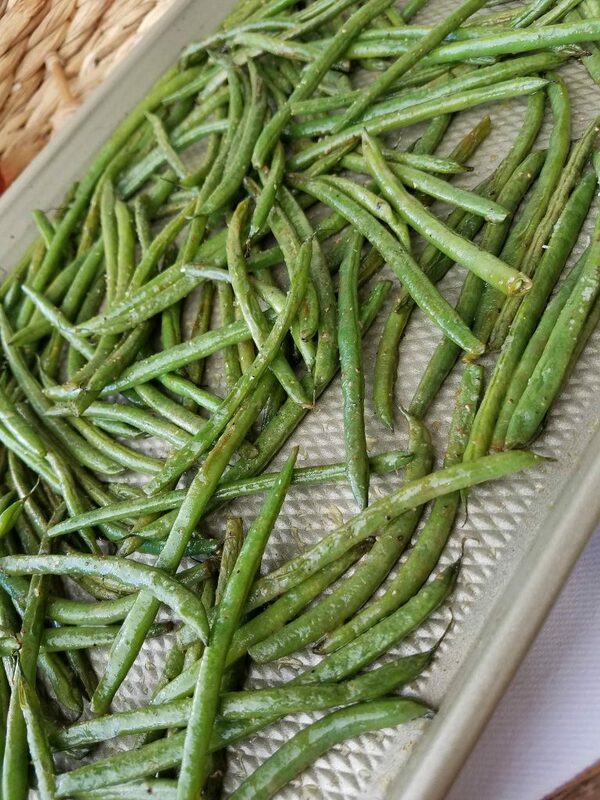 Spread green beans evenly on 2 separate large sheet pans. Sprinkle with sea salt and pepper if desired. 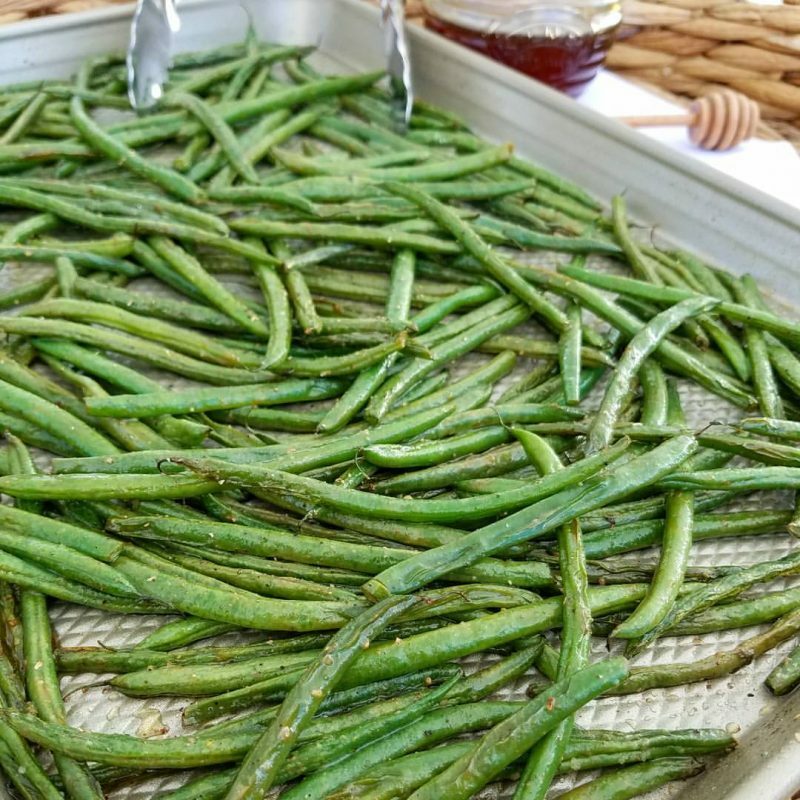 Roast in preheated 425 f. oven for about 7 minutes, then carefully toss/turn beans, and roast for an additional 6-8 minutes until crispy and nicely glazed with the honey dijon.